We hope you've enjoyed the festivities of our first (and I doubt last) Legion Week. We wrap up our series on the Legion of Super-Heroes with discussion of who should be the next creative team if (when!) the Legion returns in full force. First, let's talk a bit about the requirements for the job. 1. The ability to handle a large cast. This is a given, and this is (I think) what scares most creators away from the job. The membership of the Legion is, well, legion. And every Legionnaire is someone's favorite character. So that means each character needs to get his or her time in the sun periodically. When the tempo of this is going well, the Legion book(s) seem like they're a well-oiled machine, as readers don't have to wait an extended time for a favorite to appear nor slog through extended plotlines involving characters they care little for. Paul Levitz at his peak was a master of this, weaving characters on various missions in and out of his stories, along with brief character moments in meeting, workout, and rec room scenes. 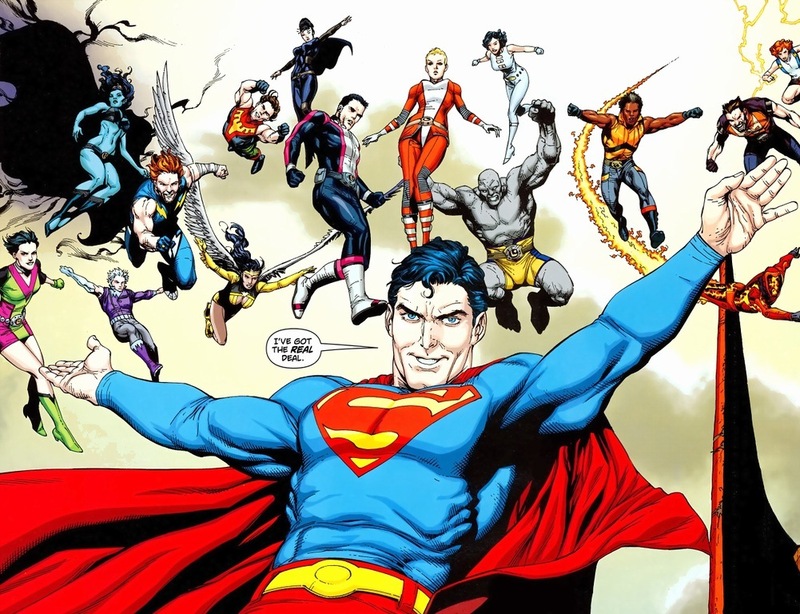 On the other hand, his recent stint on the Legion started to bog down considerably, partly due to an inexplicable focus on Mon-El, Brainiac 5, and the Academy kids for long sections of that run while characters like Vi and Ayla were mostly put on the shelf. Unfortunately for prospective creative teams, you can't get away with putting half the Legion on a bus and just focus on a small core every single issue. It's been tried, and it typically hasn't ended well. See every series and mini-series ever titled Legion Lost. For writers, it's a significant challenge to keep that tempo going with a large cast and to write every character well. 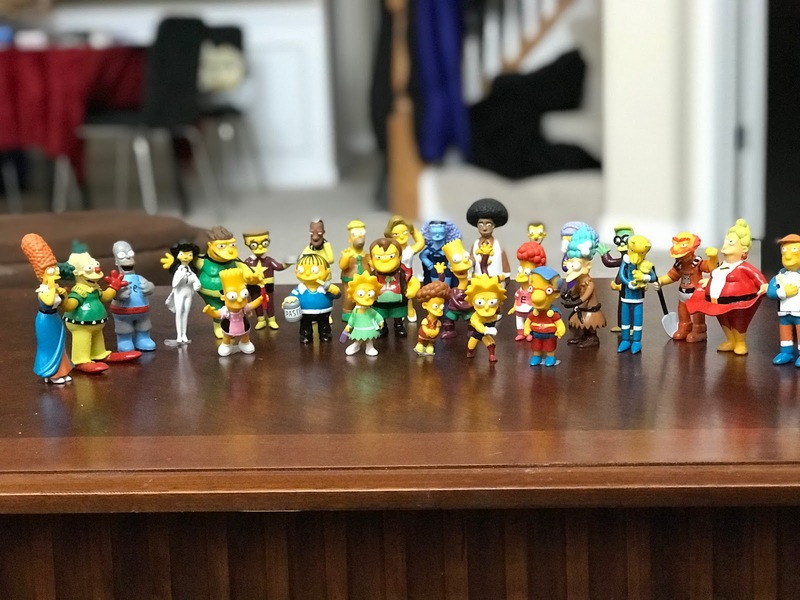 Keeping each character straight and demonstrating a distinct personality would have to be a bit exhausting. What's more, because these characters all have decades-long histories with readers at this point, a writer runs the risk of fan antipathy (or worse for sales, apathy) by changing the core of the characters too much. You can't just take a bunch of random character types, slap them in Legionnaire costumes, and call it the Legion. 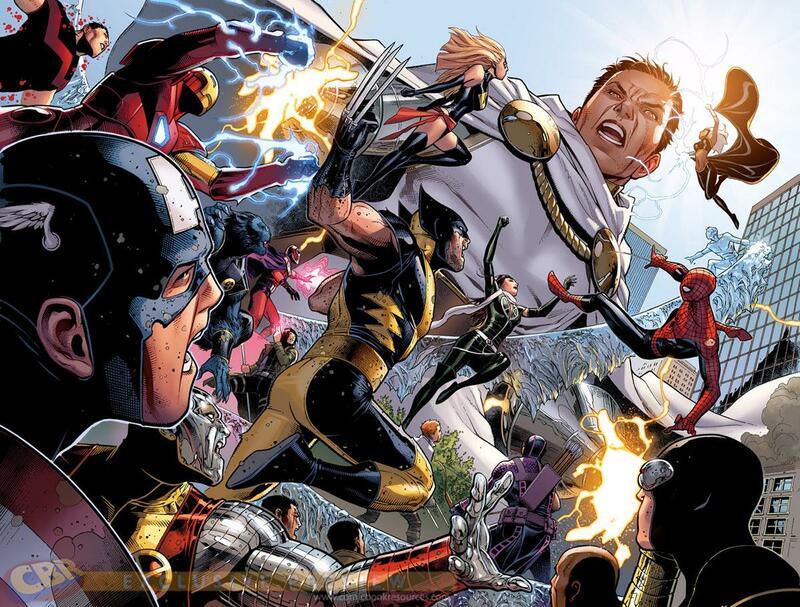 For artists, the scale of the Legion means lots of characters to appear on the page, often crowded action scenes, and the challenge of ensuring the large cast are easily differentiable and immediately recognizable. Artists who draw everyone's face the same should not apply, because accommodating that would severely limit both the writer's ability to put characters together as well as the panel designs the artist can use. 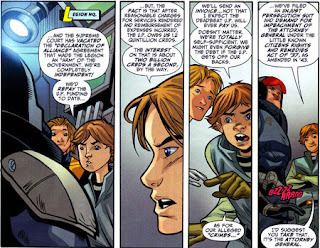 For example, if the artist's Mon-El and Cosmic Boy have the same haircut, facial features, and expressions, either the artist has to ensure that the character's costumes are always visible (limiting the variety of panel design) or the writer has to verbally differentiate each character in every panel (let's see how often we can have everyone call them Rokk or Lar in dialogue) or never pair the two on a page. 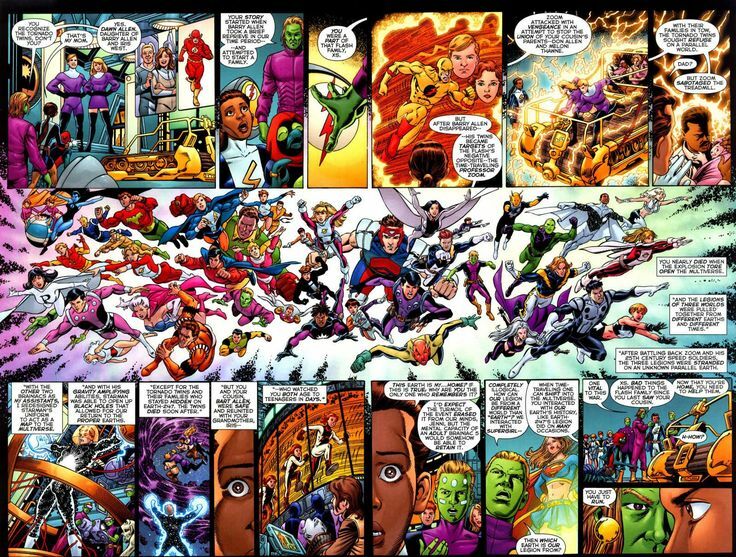 The Legion desperately needs the next George Perez or Phil Jimenez. 2. The ability to handle the science fiction setting without trying to turn the book into a sci-fi novel. As we discussed in Friday's 5W Flashback, the Legion can go awry when writers decide that the book is a sci-fi book and not a superhero book in a science fiction future. That may seem like splitting hairs, but it really isn't. A straightforward science fiction approach is what gets you Alien: Resurrection instead of Alien's horror movie in a science fiction setting or Aliens' war movie in a horror movie plot set in a science fiction setting. Spending too much time trying to establish the fantastic elements of the future or making the Legionnaires themselves too alien to be relatable is a mistake more than one writer has made. Losing track that this is the Legion of Super-Heroes because the writer has ideas about how alien languages and economies should work can kill the momentum of the book. For artists, there's the challenge of working in a genre where photo reference will be of limited value. Attempting to make the future of the Legion's universe look too similar to current day Earth typically results in futures that look either boring or become extremely dated quickly. Instead, having an artist who can run wild with their imagination and execute with a clarity that allows the reader to parse the page without requiring a PhD's worth of analysis is a must. There's a reason why Keith Giffen's panels still look futuristic even decades later. Part of it is the Kirby influence. 3. The ability to build onto instead of replace continuity, character history, and mythos. First, let's get this out of the way: the last thing any Legion fan needs to hear again is "reboot". We don't need to find ourselves reading a Legion of 4 Worlds event a few years down the road. A new creative team needs to be able to build off what's there, not wash away everything and start over. Again. This is not something that every writer in particular is able to do. Some writers get stuck in their own concept of a character and are happy to ignore (or possibly explicitly eliminate) certain parts of a character's history or core to serve those ends. But there are those who do excel at embracing everything a character is about and synthesizing something new from it. 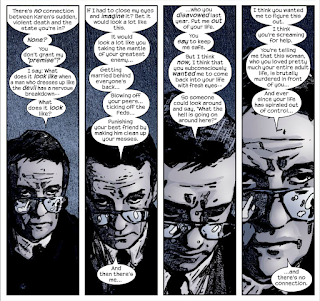 Grant Morrison famously reintegrated all of Batman's history, saying "it all happened" in some shape or form. Geoff Johns has a long history of doing the same, from Hawkman to the Legions of 3 Worlds. It can be done, and though it increases the degree of difficulty for writing the Legion, it's necessary. 4. Create some new villains. That aren't bureaucrats. The Legion has some great villains. The Fatal Five. The Legion of Super-Villains. Universo. The Time Trapper. Mordru. Darkseid. Keith Giffen. It's understandable that an incoming creative team will want to write their version of, say, a Fatal Five battle, just as every Batman writer has to eventually do his Joker story. However, a run on the Legion can't just be a series of re-encounters with old villains spaced out by battles against generic space pirates and faceless alien invaders. It's been some time since a creative team has introduced a compelling villain with staying power, and the next team really should do something to freshen up the rogues gallery. In addition, both the reboot and threeboot teams spent an unconscionable amount of time dealing with bureaucratic interference and politics. It's particularly problematic because in both cases, the team did very little effective politicking of its own and instead got out of nearly every situation by happenstance or external influence. It's time to put that to rest. Perhaps Dream Girl using her powers and intelligence to outmaneuver the United Planets career politicians can be done in an interesting manner, but unless a writer has a genius story in them regarding this, it's best to just leave it alone. Please, no more scenes like this. So who might we recruit to work on the Legion? I have some opinions on this, and some of my fellow 5Wers will pop in with their two cents as well. Yeah, no. Sun Boy doesn't need to die a third time, and we don't need to start a Karate Kid deathwatch either. Marc: My serious answer: Dan Abnett and Andy Lanning. Not sure about artists. One small problem with a return of DnA to the Legion is they split up a few years ago because they could no longer work together effectively. Separately, while I'm not familiar with Lanning's recent work, Abnett hasn't wowed me with his take on the adult (formerly Teen) Titans. However, if they did reunite, I would imagine many fans would be ecstatic. I'd be less so, having not found their previous run on the Legion to be all that memorable, outside of the Blight storyline that I mostly hated due to artwork (I was glad to see Olivier Coipel's art evolve with time and wish modern Coipel was the one who worked on the Legion back then) and the fact that they did the first (sign) Legion Lost series. Sean Fields: Still thinking about writers but now since Jim Cheung is doing Justice League I also nominate him for LoSH. I have fond memories of Cheung from his stint with Young Avengers, and he does action sequences featuring multiple characters very well. I've not seen him tackle futuristic settings much, but he certainly has the group dynamics down. I'd think that it would be difficult for him to do two team books (especially when one of them is twice-monthly) at the same time, and Justice League is the flag ship for DC, so it's going to win any turf wars. Pichelli is not an artist I know very well, but looking through the results of an image search, she's very impressive. Her characters are all easily differentiable. 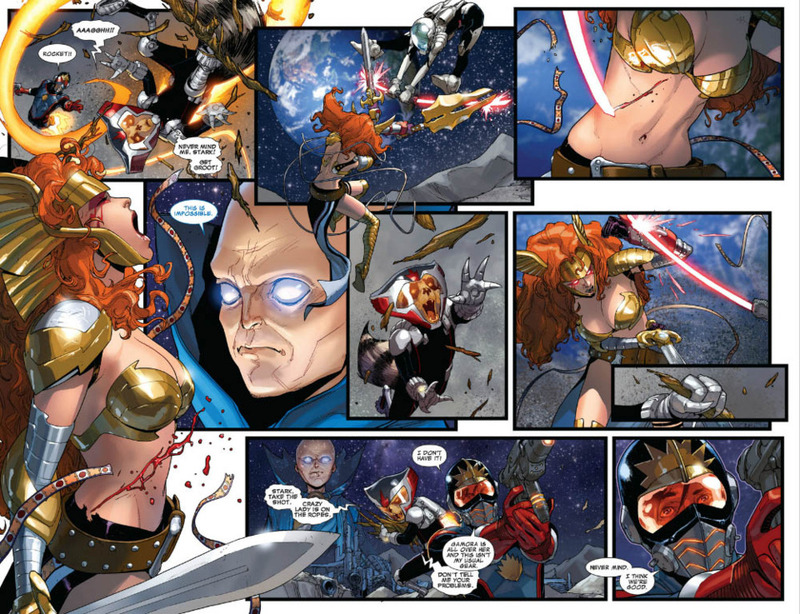 Her style tends to put figures up front and center in her panels, which lends itself well to character-driven stories. However, her pages tend to either feature few panels or, when they do expand the number of panels, tend to focus on scenes where we get a closeup of a character with not much background. That's going to make it tough to follow large group action scenes. Not to say that this is all she's capable of, but it does make me worry some. JL Franke: What are folks' opinion on the idea of Priest doing it? Marc: IIRC, Priest always scoffed at superhero team books where the characters sat around calling each other impenetrable nicknames like "Shady" and "Cham," and that's kind of the only way you can make the Legion work. But I've been enjoying his run on Justice League, so if he didn't mind doubling or tripling the cast, who knows? Dvandom: Priest also has trouble with stuff that gets too fantastical...he's referred to it as putting on his Waid hat whenever he's had to do so. He'd be more comfortable with something like the 5YL setting. I agree with the above assessment. Because Priest thinks through how things would work for everything he puts into a comic, I think the Legion could cripple him as he tries to work out an actual explanation for flight rings, star gates, etc. I also think that a successful Legion has to have a bit of Silver Age sensibility to it, and that's counter to Priest's modus operandi. I think he shines on things that are grounded in reality too much to put him in an alien environment. He's taking over the Superman mythos, and recent tweets of his have shown that he's been reading up on at least part of the Legion's history. He's a creative guy, has done cosmic in the past, and has a superstar's following among comics readers. Having said that, I would bristle at news that he was taking over the Legion for a couple of reasons. First, the degree of wordiness in his writing would be very difficult to work around in a book where every page should have a large number of characters doing things. Second, his penchant for extended dialogue scenes where everyone stands around talking to each other (regarding things that don't actually move the plot forward) causes his books to unwind very slowly. Reading his stories in trade paperback form is much preferable to single issues, and that works fine if the single issues will sell anyway. But the Legion hasn't had that type of luxury. I'd take a hard pass on Bendis as the Legion writer. 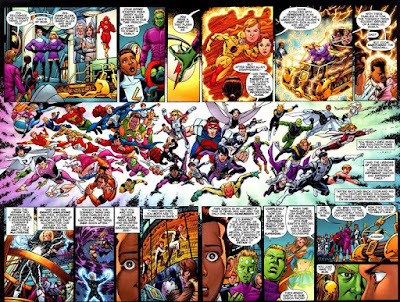 When it was announced that Levitz would be taking back over the Legion after the retroboot Legion was (re)introduced, I think most fans were very happy. However, instead of height of V3 Legion Levitz, we found ourselves getting lost in a sea of Earth Man stories, Mon-El as a Green Lantern, the Legion Academy kids, and the return of Keith Giffen. I greatly admire Levitz, and he will always be many fans' favorite Legion writer (including me). But I think at this point the Legion needs some fresh perspective. Marc: Actually, my wishlist answer would be Geoff Johns and Gary Frank. Even without having been responsible for the retroboot Legion and Legion of 3 Worlds, Johns checks all the boxes for a Legion writer. He'd proven his ability to handle a large cast well with JSA, and his work on both JSA and Hawkman shows his respect for prior continuity. And then there's his work on the Superman and the Legion of Super-Heroes story that brought back the original Legion (or introduced the retroboot Legion, depending on your viewpoint), which was probably the high water mark for the Legion in the past decade at least. As CCO at DC Entertainment, he gets pulled a million directions, making it difficult for him to keep pace with a single event book, let alone an ongoing title, but if he were introduced as the next Legion writer, I'd sign up for it in a heartbeat. It's unclear if Gary Frank has reached legendary status yet, but if he hasn't, he's heading that direction. Obviously, he'd work as a Legion artist, as evidenced by his work on the retroboot Legion. I do have some concerns about him maintaining the pace a monthly ongoing requires, though. His art is highly detailed yet clean, and that has to take some time. Perhaps Frank trading off runs with another artist would be the way to go. Chris Maka: Now that I’m finally reading Hickman’s Fantastic Four at Jerry’s suggestion, I get it. The Hickman who wrote the FF that I’ve read would be an extremely intriguing choice to write the Legion. The Hickman who wrote Avengers and Secret Wars is too dark for my taste and I wouldn’t want on the Legion. I've been a fan of Hickman's for quite some time, and though Chris is not a fan of his Avengers, Hickman's time on the Avengers shows that he can handle a large cast without shelving a bunch of the members for extended periods. His method of series construction may be an acquired taste, but I prefer his "wheels within wheels" story concepts to writers like Bendis, who craft extended storylines linearly, resulting in the series feeling overinflated. Hickman has been linked to the Legion in the past, but it seems like delays in preparing the DCU for their return has caused the likelihood of Hickman on the Legion to diminish. I have no idea if Morrison is a Legion fan or not. But let's face it: if he did the Legion, we'd be in for a wild ride. And he's shown that he can handle large casts of characters and respects prior continuity. And of all possible writers, I'd expect for him to create some great new villains. Of the writers who I don't know for sure would knock doing the Legion out of the park, King intrigues me the most. He's touched on the cosmic in the past with both Omega Men and Mister Miracle, but his work has largely been more personal and less epic. Ultimately, though, good storytelling is good storytelling, and I'd be interested in what he'd bring to the table on a Legion book. 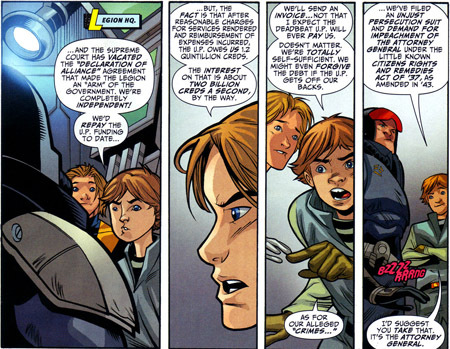 Would he look at it more from the perspective of the Legion as a sort of benevolent special forces operation? It could have promise. Mitch Gerads is the the artist perhaps most tied to King, and while again many of the stories involved are a bit more grounded than the Legion would be, his style does lend itself to being able to handle the dynamic action. 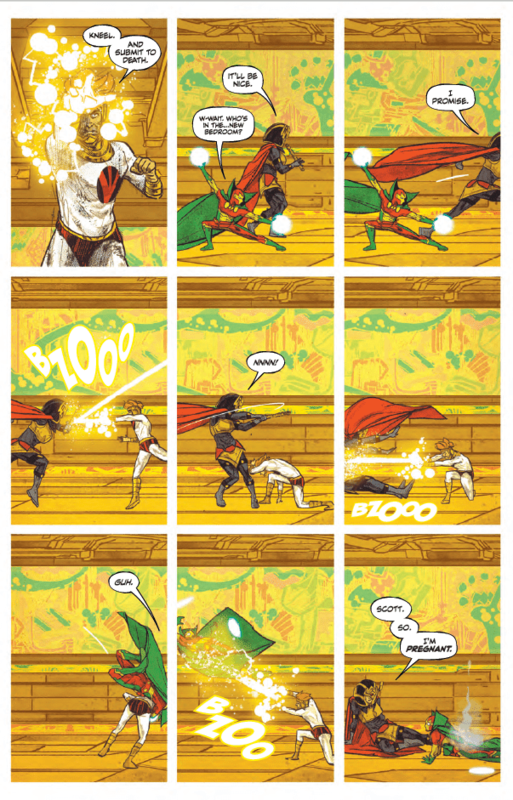 Some of his work on Mister Miracle has been downright breathtaking. I'm not sure about handling the large cast, though. Tell us below: who would you like to see take over a new Legion book?